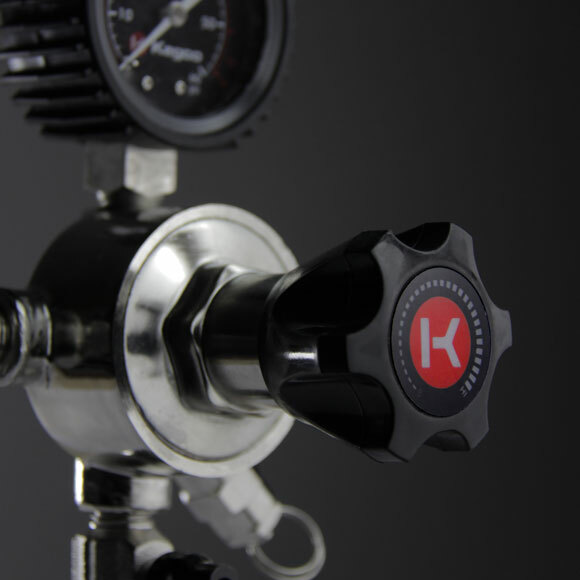 The LHU5N Elite Series Dual Gauge Nitrogen Draft Beer Regulator has a bold design with elite functionality. 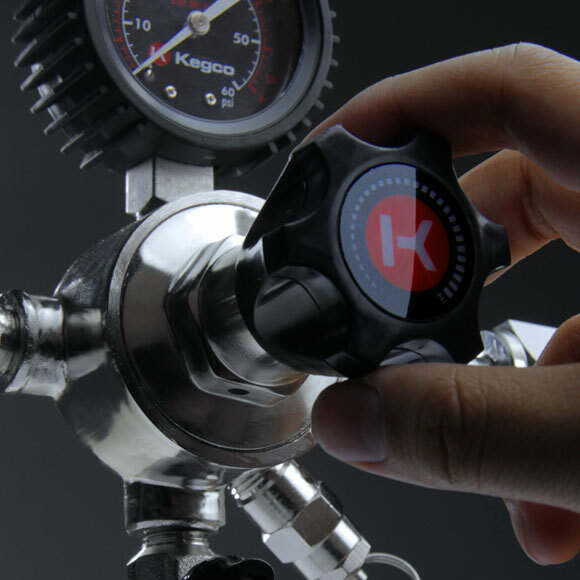 Designed for applications where one keg of stout beer, coffee, or wine will be dispensed at a time, it boasts a double gauge design that displays both the pressure inside of the keg and the volume of gas remaining in the cylinder, so you'll never be caught off guard by an empty tank again. This regulator features a single 5/16" barb and a large adjustment knob that is easy to grip and turn for precise pressure placement. For added safety, it also has a manual pressure release valve and an internal pressure relief valve that releases pressure at 55-65 PSI. A sintered metal filter has been built into the stem to keep harmful contaminants out of the regulator, ensuring long-lasting, high-quality performance. This nitrogen regulator is compatible with high pressure tanks with CGA-580 valves. This regulator's sophisticated design boasts bold black gauges with high-contrast red and white text that is both stylish and easy to read. A matching black plastic handle and black shut-off knob add to the sleek look. 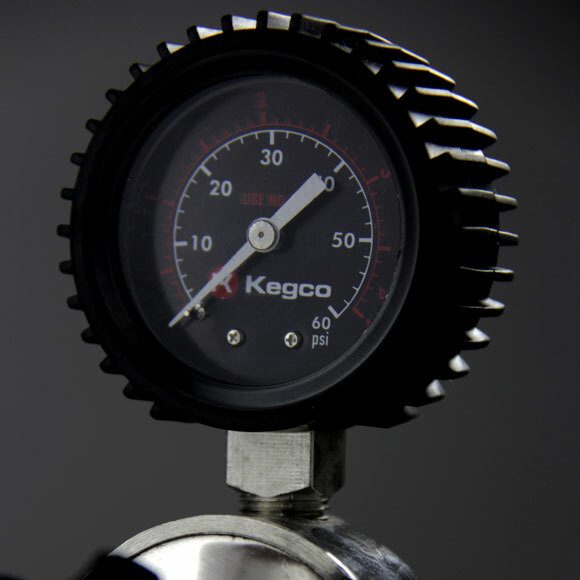 A large ergonomic adjustment knob gives you the power to make precise pressure adjustments with ease, between 0-60 PSI. A built-in tank washer helps deliver leak-free performance. Constructed from sturdy chrome-plated brass, this regulator also features a dependable rubber boot on each pressure gauge to protect the gauges from damage.